The Felix Scholarship was the dream of a generous individual who wished to remain anonymous and is referred to as "the Founder". It was the Founder's wish that the scholarships would allow gifted underprivileged students the chance of furthering their education by attending a university in the UK. After consultation with various agencies, it was decided that scholarships would be offered at three universities - the University of Oxford, the University of Reading and the School of Oriental and African Studies (SOAS), part of the University of London. 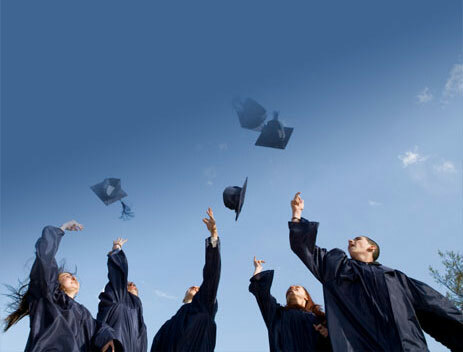 The Scholarships are awarded on the basis of outstanding academic merit and financial need. The original country of choice for the recipients of the scholarships was India for several reasons: it has an excellent and broad pool of very fine educational establishments; it offers an excellent infrastructure to facilitate the selection of the Felix scholars; it has a very high regard for higher education and the English language, both written and spoken; and English is the second language at the majority of the higher education establishments. Since 2001, a limited number of Felix scholarships have been awarded to gifted underprivileged students from Pakistan, Bangladesh, Sri Lanka, Cameroon, Malawi, Zimbabwe, Nigeria, Ethiopia, Lebanon, Belarus, Peru, Czech Republic, Kenya, Ghana, Turkey, South Africa, Egypt, Nepal, Hungary and Lebanon. The Founder also hoped that these gifted individuals would harbour the spirit of academic pursuit, excel in extra-curricular activities, have the potential for leadership and be citizens of sound character. The opportunities available via the scholarships would stimulate the students by exposing them to cultures, experiences and friendships that they would not otherwise have had the chance to sample. This in turn would endow them with skills and visions enabling them, when returning to their country of origin, to contribute to the culture and welfare of their home communities. Students are required to be pursuing studies in subjects that would be of benefit to their country of origin and they should have a desire to return to their own country once their studies are complete. The first six scholarships were awarded for the year 1991/1992. The number of scholarships has now risen to approximately 20 per academic year. A total of 428 scholarships have been awarded since the scheme began, of which 40 have been to students from countries other than India.